Do you manage a high stakes testing program? 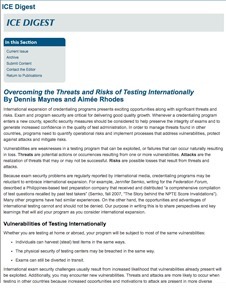 If so, you need a Caveon Test Security Audit. What is a Security Audit? Very knowledgeable and experienced Caveon Security Auditors will examine your testing organization’s policies, procedures, and materials associated with the design, development, and reporting of your assessments. Caveon will review your program management practices including staffing, training, budgeting, quality control strategies, procedures for dealing with security incidents, and legal defensibility of your exams. We will apply 300 proprietary test security standards and provide you with an analysis showing where your program reflects “state of the art” features and where test security vulnerabilities exist. For every vulnerability that we identify, we will provide a recommended security enhancement strategy that is practical and proven in other similar testing programs. All recommendations will be assigned priorities from our perspective and, if desired, we will produce a “top ten” or “most urgent” set of steps to consider for as early action as is feasible. Where do you keep up to date and readily accessible versions of all of your test security practices? If you are like most testing programs, these practices are not formally memorialized and many live only in people’s ‘heads’. 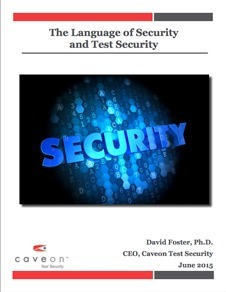 Using the results of the Caveon Security Audit, Caveon will create a Security Handbook that brings together all your existing test security policies, procedures, and materials as well as proposed additions that cover issues not yet documented. Client staff are consulted in the design, development, and review of the Security Handbook. 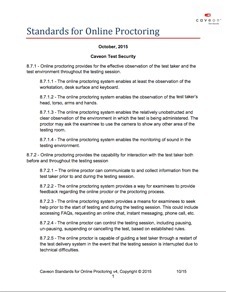 The Caveon Test Security Audit and Security Handbook are major areas where Caveon provides assistance to many clients; and has done so since our start, about 13 years ago. We will do our best to help on other areas also. We have conducted training, prepared and reviewed test security policies, and monitored testing for our clients. If you would like the help of experienced test security professionals or even if you just have a question that is about test security, please feel free to contact us. 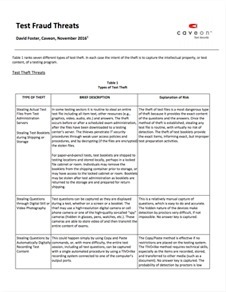 “If you are interested in preventing and detecting cheating on high stakes tests, look no further. We have the knowledge and experience to help you solve your security problems."